Hosted by the Australian National University (ANU Japan Institute) & the University of Canberra (CCCR). 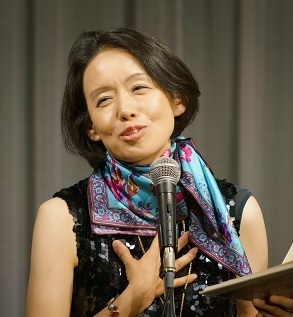 Interweaving meaning, sound and rhythm, Japanese women’s poetry provides a concentrated imaginative response to experience, a voice for expressing political concerns and reconstructing community both within Japan and throughout the Japanese diaspora. Bringing together celebrated women poets writing in the Japanese language, and Japanese literary and cultural studies scholars from Japan, Australia, US and Europe, we will use the medium of translation to examine how artistic experience transcends borders in terms of content, form and culture. This international symposium is organized by A.Prof. Rina Kikuchi (Shiga University, a visiting fellow at the ANU/UC), with a co-organizer Dr. Carol Hayes (ANU, College of Asia and the Pacific). Some of the poetry readings and performances are held as a part of Poetry on the Move 2017, organized by Dr. Paul Munden, University of Canberra. The entire symposium is supported by funding from the Japanese government research grant (JSPS KAKENHI Grant Number JP 15KK0049). The symposium is made up of two main events. Held at the ANU, program includes talks by guest poets and academic papers, including three keynote lectures. Click here for full Symposium PROGRAM. Register for full symposium, however, attendance at individual sessions and keynotes is welcomed. 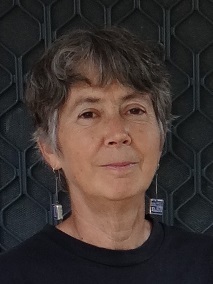 Tessa Morris-Suzuki is Professor of Japanese history and Australian Research Council Laureate Fellow at the Australian National University. Her most recent books include Borderline Japan: Foreigners and Frontier Controls in the Postwar Era (2010); East Asia Beyond the History Wars: Confronting the Ghosts of War (with M. Low, L. Petrov and T. Y. Tsu, 2013) and New Worlds from Below: Informal Life Politics and Grassroots Action in Twenty-First Century Northeast Asia (co-edited with E. J. Soh, 2017). ABSTRACT: From the late 19th to the mid-20th century, despite the White Australia policy, a complex mixture of ethnic and cultural flows came together in the northern part of Australia. Japanese migrants formed an important part of that mix. But with the outbreak of the Second World War, Australia’s security forces, intent on weeding out enemy aliens from the community, felt impelled to pull the intertwined threads of this diversity apart. Bureaucracies – particularly the bureaucracies of countries at war – need clarity and sharply defined boundaries. To bodies like Australia’s Commonwealth Investigation Branch and Defence Security Organization, people were either Australian or alien, either ally or enemy, either loyal or subversive. These categories, though, repeatedly foundered in the face of human realities that overflowed their tidy dividing lines. This paper will use the voices of Japanese women in wartime Australia – drawn mostly from letters and official interviews – to explore how these women negotiated the new hard borders that had been drawn through their lives, and survived in the confusing and often hostile world of wartime Australia. Meredith McKinney is a translator of classical, early modern and contemporary Japanese literature. As well as translations of classics such as The Pillow Book (Makura no Sōshi) and Essays in Idleness (Tsurezuregusa), she has also translated two works by Natsume Sōseki (Kokoro and Kusamakura), fiction by contemporary novelist Furui Yoshikichi, and Tanabe Seiko’s biography of the poet Yosano Akiko. She lives in Braidwood, and is a Visiting Fellow at the ANU. ABSTRACT: The talk will focus on the experience of co-translating with Sakai Nobuo the poetry of Australian poet Judith Wright for a collection of her poems in Japanese translation book. Keijiro Suga (1958-) is a Tokyo-based poet and professor of critical theory at Meiji University's graduate program in Places, Arts, and Consciousness. He has published four collection of poems under the general title of Agend'Ars and the fifth collection, Numbers in the Twilight, will be published this Autumn. 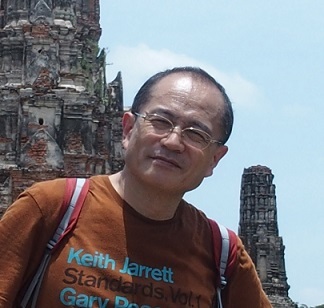 Author of twelve books of prose works, his anti-travelogue Transversal Journeys (2010) was awarded the Yomiuri Prize for Literature in 2011. 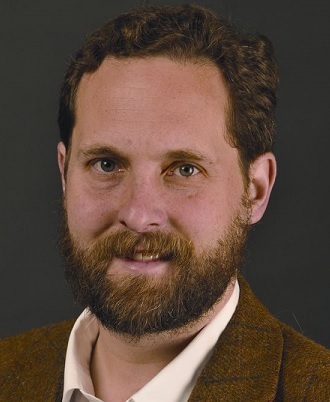 A seasoned translator from English, French, and Spanish in the humanities and literature, his translations include Edouard Glissant's Poetique de la Relation, Isabel Allende's Paula, Aimee Bender's The Particular Sadness of Lemon Cake, among others. 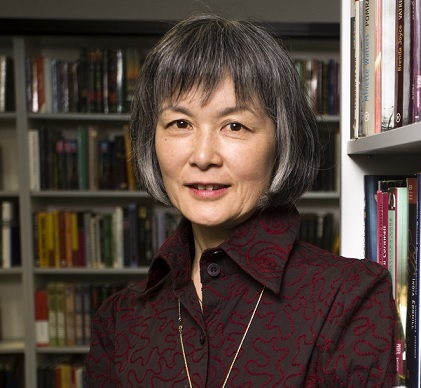 ABSTRACT: Known as one of the best novelists of her generation, Kawakami Mieko (b. 1976) has so far published two collections of poetry. Mizugame (2012) is one of them. With this she was awarded the Takami Jun award, one of the most important poetry prizes in Japan. All her poems are written in prose and all are very strange. They are playful but we don't know what the rule of the game is; they make you laugh but we can't quite point to where her humors reside; they are at the same time poignant but we cannot tell what tragedy is hidden beneath. At some points I sense in her style certain resemblances to Jamaica Kincaid's dream-like first short story collection At the Bottom of the River (1984) but I may be wildly wrong. Here I would like to show you some of my trial translations from Mizugame and invite you to look into the charm of this book. Other Japanese woman poets may be discussed along with her. ABSTRACT: Poet, Ito Hiromi began publishing her poems in the late 1970s and already by the 1980s, she was widely recognized as a leading figure of change in the contemporary Japanese poetry scene. Her two Territory Theory poetry collections, the first published in 1985 and the second in 1987, are landmarks of 1980s poetry. My lecture focuses on the development of her theory of ‘territory and boundary’, as seen in her works written from the 1990s, when she moved to California. As ‘a border-crossing poet’, Ito’s work entered ‘new territory’, as if reflecting her own physical border crossings between Japan and the USA. Her 1993 collection, I Am Anjuhimeko (『わたしはあんじゅひめ子である』) provides the first such example, in which she created a new poetic language of movement and linguistic fragmentation. Ito increasingly experimented with ways of crossing the walls between languages just as her body stepped through the physical boundaries. Since the turn of the century, with the 2005 publication of Wild Grass on the Riverbank (『河原荒草』), Ito has perfected her use of these linguistic and physical layers in her work. She is now exploring new territory, with an increasing focus on aging and death, particularly how we confront death as part of the narrative of the 21st Century. My lecture will include discussion of this new focus, as seen in her more recent collections, The Thorn-Puller: New Tales of the Sugamo Jizō (『とげ抜き　新巣鴨地蔵縁起』: 2007) and The Theory of Seppuku (『切腹考』, 2017). Hiromi Ito (with Jeffrey Angles), Takato Arai (with Jen Crawford), Harumi Kawaguchi (with Melinda Smith), Kayoko Yamasaki (with Subhash Jaireth), Rina Kikuchi (MC). This reading presents an exceptional opportunity to hear the work of four highly acclaimed Japanese women poets. Each poet will read their original poems in Japanese along with their translator-poet, who translated their poems into English. This reading is one outcome of a project in which poets have transcreated Japanese poetry in English. The poems can be read in te new volume Poet to Poet: 10 contemporary women poets from Japan, a bilingual anthology (edited by Jen Crawford and Rina Kikuchi), published from Recent Work Press, to be launched at this event. We are grateful to the Embassy of Japan in Australia for co-organising this event and hosting a reception after the reading. Registration is free but necessary - use following link and select the WOMEN’S VOICES FROM JAPAN session. Takako ARAI was born in 1966 in Kiryū City, Gunma Prefecture, Japan to a family engaged in textile manufacturing, a traditional industry in the region. Her first collection of poetry, Hao-bekki, was published in 1997. Her second collection, Tamashii dansu, was published in 2007 and awarded the 41st Oguma Hideo Prize. Several of the works from that collection have been translated in Soul Dance: Poems by Takako Arai (Mi'Te Press, 2008, English translations by Jeffrey Angles). Her third Collection, Betto to Shokki, published in 2013 has received positive reviews. Since 1998 she has been a regular contributor to, and eventually editor of Mi’Te, a journal featuring poetry and criticism. She is an Associate Professor at Saitama University teaching Japanese language and poetry to international students. Since 2014, she has been deeply involved with a regional language poetry project in Ōfunato city in Iwate Prefecture, which was severely damaged by the earthquake and tsunami in 2011. Born in Obama, Fukui prefecture, Japan in 1962. While at university, she started writing poems and published her first collection, Mizuhime (Water Princess, 1985) on graduation. She worked for one of the biggest trading companies in Japan, in the middle of Tokyo, for more than seven years, taught creative writings courses at various universities and edited a few anthologies. Her tenth poetry collection, Map of the Peninsula (2009), received the 10th Yamamoto Kenkichi Literary Prize (in the poetry section), and her latest collection, Tiger is Here (2015) won the 46th Takami Jun Poetry Prize. 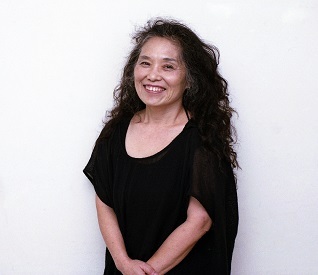 Hiromi ITO is a celebrated award winning poet, born in Tokyo in 1955. She quickly became a leading figure in women’s poetry in Japan in the 80s with the publication of her first poetry collection in 1978. She published not only poems but essays on motherhood and child rearing, which became a new literary genre for women writers. A prolific writer, she has published much poetry and prose on women’s life, Despair of Women (2008), Book of Menopause (2013) and A Life of Woman (2014); on life and death, Dog Heart (2013), Father Lives (2014), Tree Spirits Glass Spirits (2014) and Thoughts on Harakiri (2017). In her two latest poetry collections, Wild Glass on the Riverbank (2005) and Tales of Shinsugamo Pilgrimage (2007), she has created a unique poetic narrative form inspired by early moralistic story telling in Buddhism teachings. Kayoko YAMASAKI is a Japanese-Serbian poet and translator, who has lived in Belgrade from 1981. She is the author of twelve poetry books (six in Japanese and six in Serbian). Her works have received literary awards, including the Yomiuri Award (for A Poetry Diary from Belgrade, 2015) and the Milica Stojadinovic Award (for Flowers in Water, 2015). She performs poetry at refugee camps and schools. She is a professor at Belgrade University. Jeffrey Angles (1971- ) is a poet, translator, and professor of Japanese literature at Western Michigan University in Kalamazoo (USA). His collection of original Japanese-language poetry Watashi no hizukehenkōsen (My International Date Line, 2016) won the highly coveted Yomiuri Prize for Literature, an honor accorded to only a few non-native speakers since the award began in 1949. He has published dozens of translations of Japan’s most important modern authors and poets. He believes strongly in the role of translators as activists, and much of his career has focused on the translation into English of socially engaged, feminist, or queer writers. Among his numerous book-length translations are Forest of Eyes: Selected Poems of Tada Chimako (University of California Press), Killing Kanoko: Selected Poems of Itō Hiromi (Action Books), Wild Grass on the Riverbank by Itō Hiromi (Action Books), and Twelve Views from the Distance by Takahashi Mutsuo (University of Minnesota Press). His most recent translation is an annotated, critical edition of the modernist classic The Book of the Dead by Orikuchi Shinobu (University of Minnesota Press). 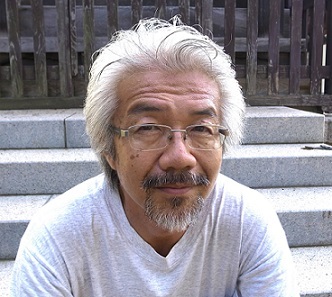 His translation of Tada Chimako won both the Japan-US Friendship Commission Prize for the Translation of Japanese Literature and the Landon Translation Prize from the American Academy of Poets.